King of Kustomomizing George Barris passed away November 05, 2015. The funeral will be held on November 28. 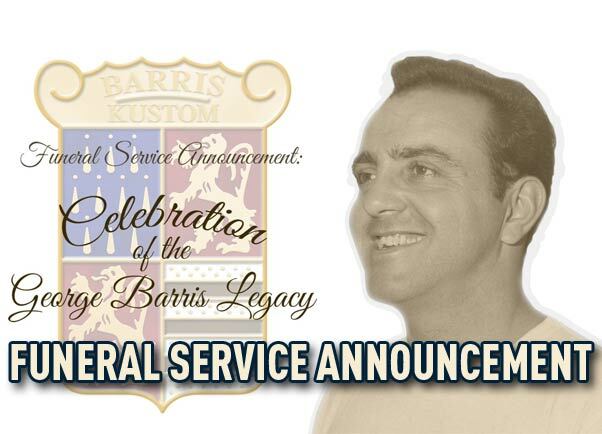 Funeral Announcement – ‘Celebration of the George Barris Legacy’, which we will start Saturday, November 28 at 10:00am sharp at the Hall of Liberty (Forest Lawn – Hollywood Hills). 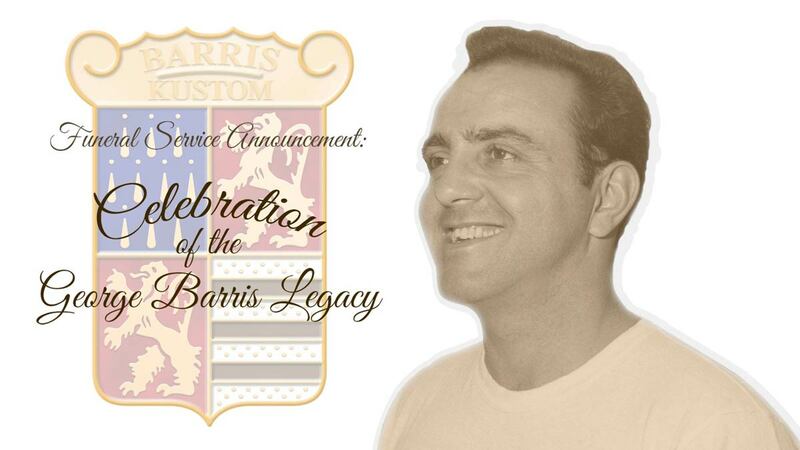 Please join the Barris Family as we celebrate the work, life, and legacy of George Barris with his family, friends, kustom automotive colleagues, and fans from all over the World. George’s Funeral will go off with a bang as he’d want it and we look forward to sharing it with you all. 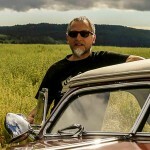 Don’t forget to ride to George’s service in style, so get that Kustom, Hot Rod, Rat Rod, etc. running… because we have more planned for this day, which will revolve around us KRUISING together. It would be nice if someone attending would film/document this funeral service for those of us from other parts of the world who unfortunately wont be able to attend. Ill will reserve a minit silence for Mr Barris and reflect on what George made of him self and what he gave us to remember him by. Tho as we say good bye and farewell to George Barris there will be as big of a welcoming up stairs with all the crushed / wrecked cars lined up waiting to welcome him. My guess the Nick Matranga’s Merc will be there in the line up of cars that were lost.